MVI 4152 converted with Clipchamp. Video will open in a new window. 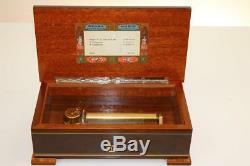 LUXURY SWISS MUSIC BOX by REUGE plays 3 BEETHOVEN AIRS hear it NOW! Superb, luxury Swiss music box from Reuge playing 3 Beethoven tunes on a 72 note comb as per the tunecard under the box (Ch3/72). Weighs 1.25kg before wrapping. 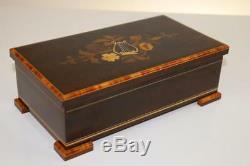 The case measures 24.5cm x 13.5cm x 8.5cm. Please have a good look at the pictures and message me should you require more information. 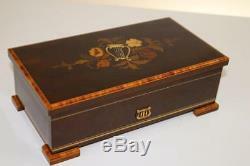 Be sure to check out my other music boxes, clocks etc.. 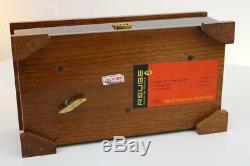 Wonderful musical box from REUGE........ Get Supersized Images & Free Image Hosting. Create your brand with Auctiva's. Attention Sellers - Get Templates Image Hosting, Scheduling at Auctiva. 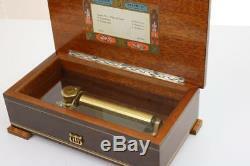 The item "LUXURY SWISS MUSIC BOX by REUGE plays 3 BEETHOVEN AIRS hear it NOW! CH4/50" is in sale since Sunday, March 24, 2019. 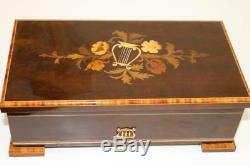 This item is in the category "Collectables\Household Collectables\Music Boxes". 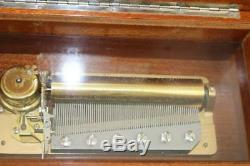 The seller is "time-2-remember" and is located in Redhill, Surrey..